CHRISTMAS GIFT GUIDE FOR THE MAKEUP LOVER. Trying to think of the perfect Christmas Gift can be hard and while Christmas isn't all about the materialistic things, it's aways nice to receive something you will enjoy and maybe wouldn't buy for yourself usually. I'm pretty sure we all know a make up lover so you can't really go wrong getting that person in your life something makeup related, you know they'll use it and if makeup is their passion, they'll get real enjoyment from it. However, the next question is... what do I actually get them? 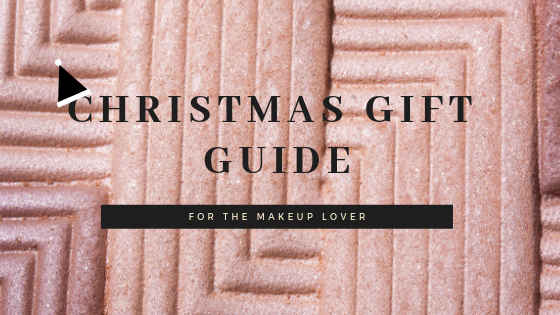 I put together this blog post with some gift options that any makeup lover will really appreciate so if you're struggling to whittle down your options, I do hope this post helps! The palettes above are from two brilliant Irish brands and while they are ideal for any makeup fan, they are especially ideal for anyone you know who is really into that Instagram makeup. What I mean by that is, they aren't afraid to play with colour and create these amazing elaborate looks, the more colour the better type of people. So if they haven't managed to get their hands on either of these palettes yet, I can guarantee they will love you forever if you hand them one of these on Christmas Day. Makeup Brushes/Sponges are something you can never have enough of..especially for any makeup artist in your life who spends hours upon hours washing their brush collection in preparation for their next client. Washing brushes can be a right pain as I'm sure most of you know so having lots of clean backups at the ready is always a fab feeling. So earn yourself some serious brownie points this Christmas with the sponges and brushes above. We all know someone that aspires to have their hi-lighter to been seen from outer space so anyone that ticks that box will reaaaalllyyyy appreciate either of these Instagram famous options. Charlotte Tilbury is one of those brands that just screams luxury to me, the look and feel of all their products is pretty damn gorgeous to be fair, so if you want to make someone feel that little bit special this Christmas, this is a brand I would definitely recommend for you to consider. I have included their infamous 'Pillow Talk' lipstick and lipliner above. This NYX Vault really covers all bases when it comes to lippie shades so again this is ideal for that Instagram makeup lover that just loves to experiment. 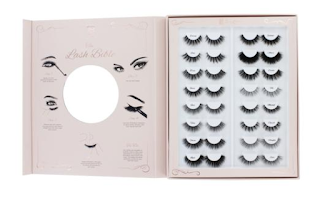 This Lash Bible from SOSU BY SJ looks fab fab fab. Even I, as a complete lash novice am in awe of this. 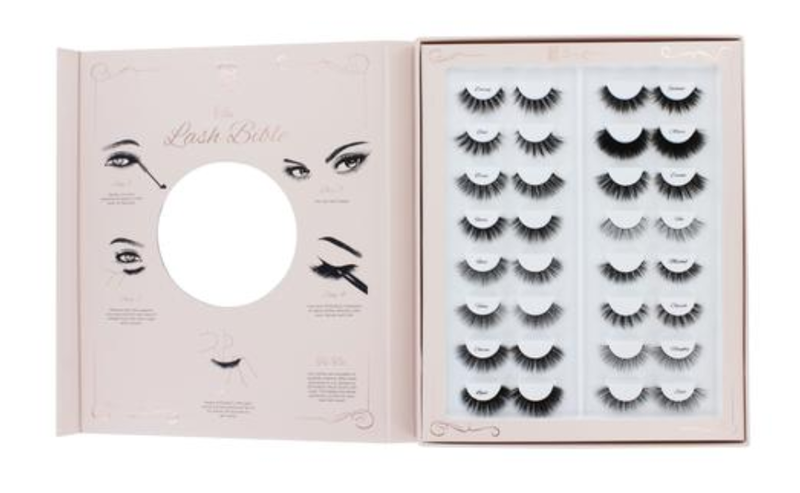 It really does have any lash you could want for any look/occasion so I'm very confident in saying you can absolutely not go wrong with this as a gift for anyone you know who loves their lashes, this is the actual DREAM for them for that person in your life. I do hope you may have gotten some gift ideas from this post whether its a lil treat for yourself or someone else this Christmas.